Every once in a while I’m at the grocery store and I actually remember all of the ingredients from a recipe I Pinned. I haven’t been sharing them here, but I think I will start. A word of warning, many of my attempts could potentially be featured on a Pinterest Fail site based on the photo alone, but I won’t post it here if it’s a total fail. This time, I tried “Fried” Honey Bananas from Rachel Schultz blog. I’m not much of a sweets person, having only a handful of ones that I’ll eat and so when I do crave something sweet, I tend to go full on desserts instead of reaching out for fruit. Fruit and dessert are just not the same. So when I found this recipe, I thought “Eureka1” It looked so bananas foster-like. I happen to LOVE bananas and they have a ton of health benefits. They were AMAZING! I highly recommend them for a quick, easy and healthy dessert. 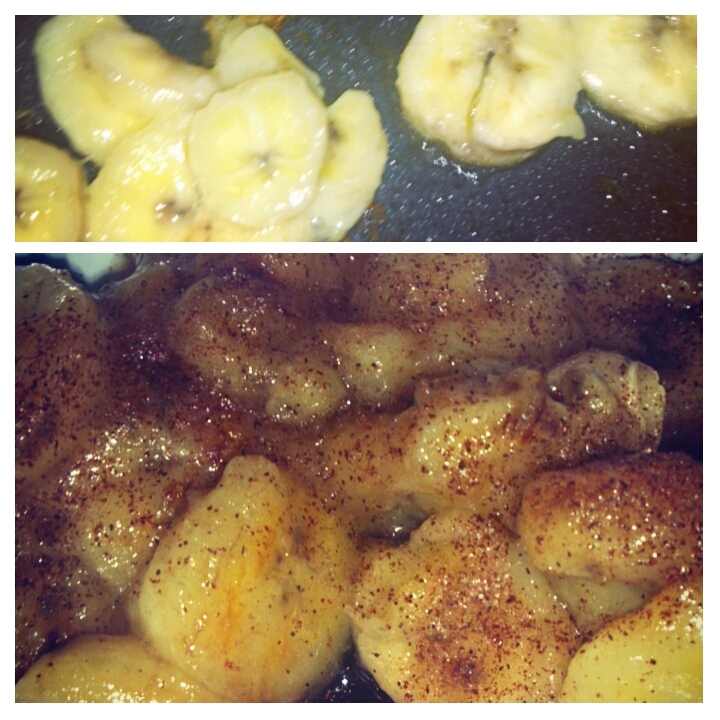 All you’ll need are bananas, honey, cinnamon (I used cinnamon sugar, water, and olive oil. I do suggest that you follow what she says regarding the ripeness of the banana. I think the mushiness of mine was the result of a too-ripe banana. Oh, and I used raw honey. I switched over this summer, and have never looked back. For the recipe visit Rachel’s Blog. She has much better photos than I do.